These Cheeseburger Stuffed Jalapeno Poppers are a fun and easy appetizer perfect for any occasion. They bring just the right amount of spice and are thrown together in minutes. Hi all! 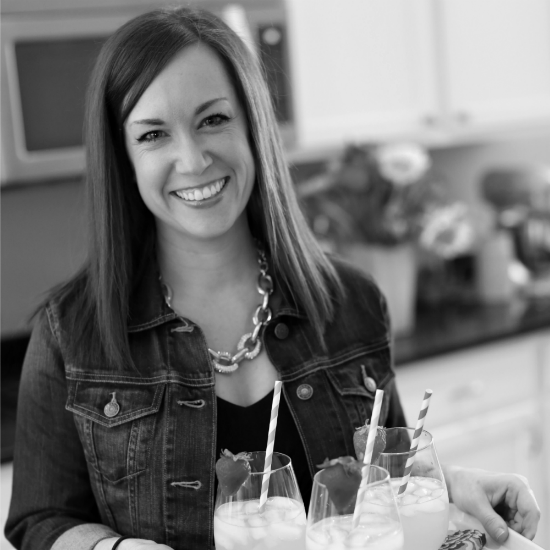 It’s Becky from The Cookie Rookie and I’m just SO excited to be here chatting easy recipes! 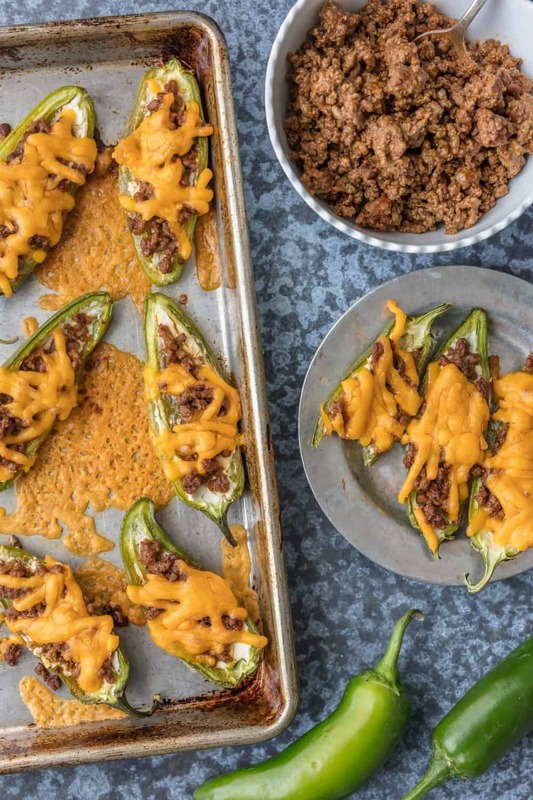 I feel like this is a party contributing for the first time, and if I’m heading to a party, I’m bringing these Cheeseburger Stuffed Jalapeno Poppers. They’re filled with all of the flavor and none of the fuss, just the way I love a recipe. If you like your appetizers bite sized, spicy, and cheesy, you’ve come to the right place. Before I learned to cook and we ate at restaurants every meal (shhh), I used to love to order jalapeno poppers. I figured they were some complicated recipe that I didn’t want to attempt at home. I was VERY wrong. 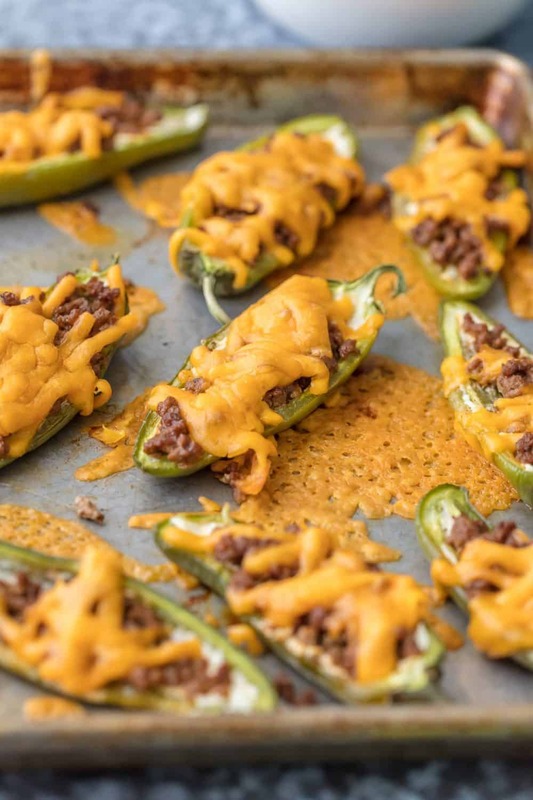 These Cheeseburger Stuffed Jalapeno Poppers are just too simple not to make. 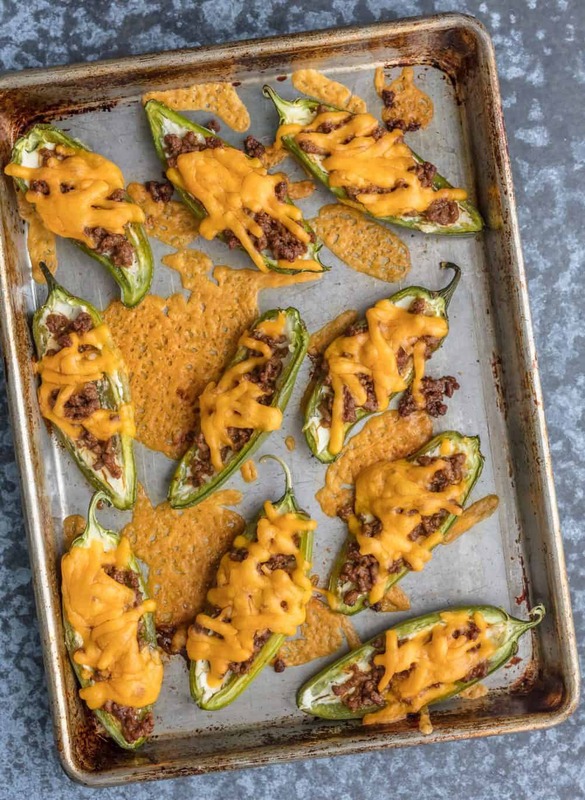 All you have to do is brown some beef with your favorite seasonings, stuff a jalapeno with cream cheese, the beef, and smother in shredded cheddar. You’ll want to make a lot of them, they’re always gone in minutes at our house. To make a great recipe even better, these poppers are relatively guilt free. So pop and few and enjoy the party. Yum! ***the seeds and veins are the spiciest part of the jalapeno. Be sure to remove as much as possible when hollowing out each half pepper. Preheat oven to 350F. Line a baking sheet with foil or spray with nonstick spray. Set aside. Cut each jalapeno in half length wise and use a knife and spoon to hollow out the veins and seeds from each pepper. Add the jalapenos to the baking sheet. Heat the olive oil over medium high heat in a large skillet. Add the beef and crumble as it cooks. About half way through cooking, stir in the taco seasoning. When no longer pink, drain if need be and set aside. Stuff each half jalapeno with 1 teaspoon cream cheese, followed by a heaping of beef, and then sprinkled with cheddar. Repeat with all of the jalapenos. Bake for 25-35 minutes or until jalapenos are cooked to your liking and cheese is fully melted. Becky is the blogger behind The Cookie Rookie. She recently decided to learn how to cook and loves to create delicious and EASY recipes anyone can make and EVERYONE will love! Looks delicious! Can’t wait to make it! I made this recipe last night and made sure to take out all of the seeds and such from the jalapeños. They smelt delicious and looked delicious but my husband and I took one bite and couldn’t finish swallowing because of how spicy it was. Did yours turn out this spicy or did I do something wrong? I was so bummed because this recipe looked amazing. I realize jalapeños are spicy but I figured it would at least be edible. ? We just made these today and they were delicious! The only thing I did different was to mix the cheeses in with the ground beef before stuffing. We will definitely be making them again.